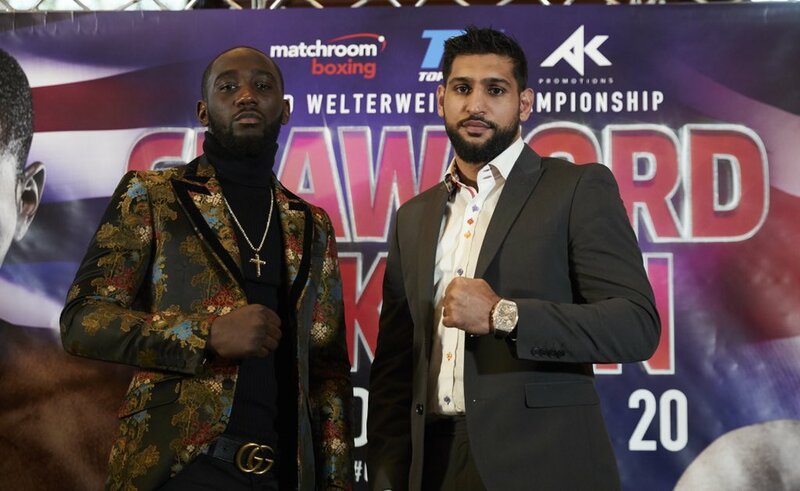 Former world champion Amir Khan believes he will upset odds against reigning WBO Welterweight champion Terence Crawford when they both meet in the squared circle on April 20. The unbeaten Champion Terence Crawford is regarded as the best pound for pound fighter in the Sport has had a 100% record at welterweight, while Khan despite been unbeaten since his return got rocked and dropped on his way to a decision victory over Samuel Vargas. "I know a lot of people are saying I've got no chance against someone as good as Terence but I firmly believe I will be the first man to beat him and take his place in the pound-for-pound rankings," Khan said. "I'm not going to America as the opponent. Terence will be one of the most skilled boxers I've fought but he's not that good that beating him would be the crowning moment of my career. "Despite my two world titles and the size of this challenge the greatest achievement is still my Olympic silver medal. That changed my life and made me a household name around the world, overnight."